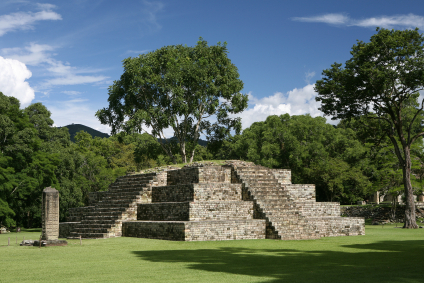 The Honduras are smack-dab in the middle of Central America and share a wealth of Mayan relics and ruins along with neighboring countries that were once one great Mayan civilization. Because of the politically unstable history of the nation, many students pursue peace studies, sustainable development programs, marine biology, or engage in some form of humanitarian project. Study in Honduras provides students the opportunity to study the culture and economic development of what is the third poorest country in the western hemisphere. The main industries in Honduras include tourism, garment manufacturing, banana and coffee farming. You will have the opportunity to learn Spanish as well as study ecological, anthropological and economic development in this ecologically diverse nation. Scholarships are available from government, private organizations and college sources. Pell Grant recipients seeking funding for international study in Honduras better not delay in applying for the ultra-competitive Benjamin A. Gilman International Scholarships. Designed and funded by the federal government the generous Gilman awards promise to boost the diversity level of highly educated U.S. leaders in the forthcoming generations. Eligible candidates must also prove a highly evolved academic sensibility and have a well-defined program in mind; the more challenging and innovative the better. Gilman Scholars are chosen from thousands across the country. Maximum amount of the scholarships is $5,000 based on need. The Rainforest Alliance sponsored Kleinhans Fellowships which are intended to support the research and work of post-graduate level students whose passion lies in forestry, natural resource management and related fields. Honduras economic situation contributes to the destruction of sensitive timber and rain forest areas in exchange for short-term and environmentally bankrupt business and industry. Fellowships are valid for up to two years and offer $15,000 each year. Ambassadorial Scholarships available from Rotary International are some of the more prestigious and competitive programs anywhere. Students whose studies take them to Honduras may be eligible for up to $26,000 from the Rotary. Eligible applicants must be able to demonstrate superior academics, personal character and embody many of the tenets of the Rotary. Acceptable programs include those focused on peace studies or humanitarian pursuits and recipients must be willing to lucidly share their Honduras experience with a Rotary audience upon completion. Scholarships are for a yearlong program. HACU-Laureate International Scholarship Program is the collective effort of the Hispanic Association of Colleges and Universities and the Laureate organization. Through valuable partnerships with select U.S. institutions and various international universities, such as the Universidad Technologica Centroamerica in Honduras, Hispanic students may receive well-deserved scholarships to study abroad. Many students would never be able to afford the high cost for study abroad programs without the support of programs such as this. Awards are based on a range of criteria including academics and financial need. The Buckman Center for International Education at Rhodes College in Tennessee coordinates a list of worthy study abroad programs that offer targeted studies. Students wishing to study the coral reefs off Roatan Island, Honduras or participate in humanitarian research and aid in this challenged country, may all apply for scholarships. Awards are limited to a few select students based on academic standing, nature of the program and financial need for the extra funds. Students with a working knowledge of the Spanish language may be preferred.